I've read a lot of Mary Burchell's Harlequin romances over the years. From my first introduction to her charming romances, But Not For Me (now a favourite) to the discovery of her quite astonishing life and her memoir We Followed Our Stars -- also republished as Safe Passage in 2008 --I've found her completely fascinating. I just found out about this particular book recently, and though I don't review much of my genre reading, I wanted to share this one. Published in 1957, it details the feelings arising in a young woman, Anya Beranova, as a result of being a Displaced Person after the war. 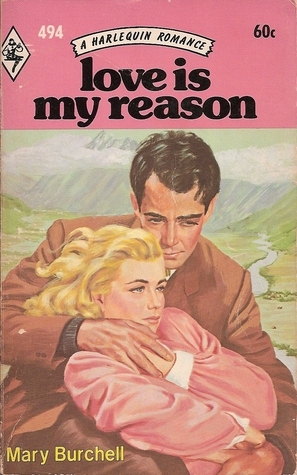 As someone on Goodreads noted, there is not a lot of romance in this one; it feels like Burchell rolled one in so that Harlequin would publish it with her other work. The main love interest is a bit dreary, really, but Anya wants him, and that's all that really matters. In its tone and its look at post-war politics and social gradations, I was reminded in some elusive way of Helen MacInnes, a mystery writer of the same era. I loved the way that Burchell's long established love of opera and theatre and performance also plays a role in this story, as Anya discovers a latent "small talent" that leads her to her family and her future. The story runs thus: young Anya meets Englishman David Manworth by chance when he's holidaying in Bavaria. By a series of chance circumstances they meet a few times and develop a friendship. Then her father dies, after asking David to care for his young daughter...who is really the daughter of an Englishman. Feeling in some way responsible for her, David and his party -- his Aunt, her friend and her daughter, plus David's cousin, take Anya back to England with them. Anya must there discover who she really is and what she really wants, all while dealing with the emotions arising from her rootlessness and lack of national identity, and her long history of powerlessness and insecurity in DP camps across Europe. Anya felt the chill of that stony dislike. "And yet she has everything on her side," thought Anya wonderingly. "She is secure and happy and rich and beloved. Why should she hate and fear me, a stranger, with no country, no home, and even a father who is in doubt?" Anya is shuffled around a bit, finds her hidden talent thanks to Cousin Bertram, a stage manager (and one of the most appealing characters in the book for me), discovers her true identity and gets her man in the end. But even as she's doing so she continues to hold her ambition to develop a career and to be self-sufficient and independent, and to hold her future in her own hands. I feel that if Burchell had been able to get away with not marrying her off in the end, she might have done so -- and the book would certainly have been more realistic and powerful that way. I was really struck by the currency of the concept of this story, and by Burchell's compassion not for The Displaced as a generality, but the real interior life of one young girl caught up in the winds of war. It makes the setting and the social conditions of the DP camps much more emotionally resonant. Burchell's work during the war and her concern for those caught up in its aftermath both shine out in this book in a way I haven't seen from her before. While it's a pretty slight romance with convoluted plotting for drama's sake, it's also a fascinating contemporary look at the very present reality of DPs, refugees and those fleeing conflict in whichever way they can. A timely read that still echoes today. How very interesting that this theme is reflected in this book. I've recently finished reading Herman Wouk's massive 2-book saga about WWII and I was very intrigued by the contemporary parallels between the people involved and today's reality. I guess many of these are ever present throughout time, right? Humanity cycles over and over and over through them. You are so right, humanity just keeps repeating our mistakes over and over. Sigh. But yes, the old covers of these books are so pretty. I really like most of Burchell's original covers though some of the reprint ones are fairly terrible! I am a huge Burchell fan, and I agree this doesn't fit with her other books but is fascinating in its own way. I have a number of favorites and although most are in a box I enjoy rereading from time to time. Me too, I just love her. This one was so different but I loved it. My #1 fave is But Not For Me, though there are many others I enjoy rereading as well. I'm always looking out for her books when I'm thrifting. I had several duplicates that I found homes for. Will check to see if I still have any. One Man's Heart is a favorite and I especially like the ones with a musical theme. Oh, I really liked One Man's Heart as well, and It's Rumoured in the Village is one of her funnier ones somehow. I've read nearly all the Warrender Saga but am having trouble finding a few of the final titles in that series. Always more to look for! I'm glad you enjoyed reading this and the cover's a delight. Lovely review, Melwyk! I am still catching up in blogging after a trip last month.